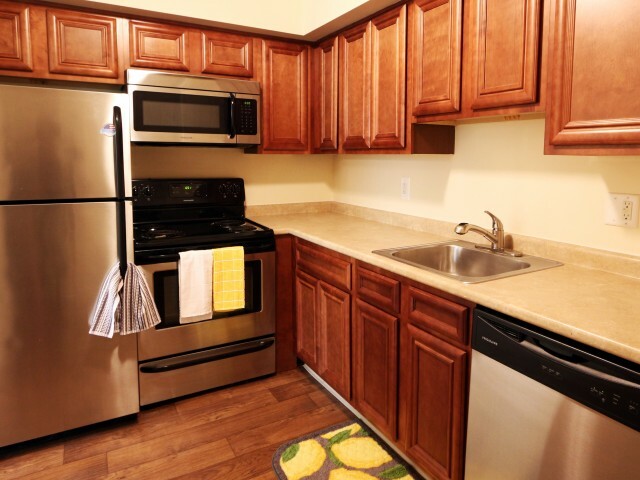 Your new Deptford, NJ apartment offers the best in luxury. Imagine perfecting your swing or stroke at our on-site tennis courts and pool. Host friends or an important business meeting in our business center, clubhouse with wifi, theater, outdoor grilling areas, and an on-site playground. Furry family members are welcome too, as Stonybrook Luxury Apartments are pet-friendly. We offer spacious studio, 1, and 2 bedroom apartment homes at our apartments in Gloucester County, NJ, so you can express your personal style. Residents can also enjoy the utmost in convenience with our on-site management and maintenance experts, as well as package receiving services. View our photo gallery and envision your personal lifestyle in your new Deptford, NJ, apartment at Stonybrook. Contact us for current availability or to schedule a personal tour!